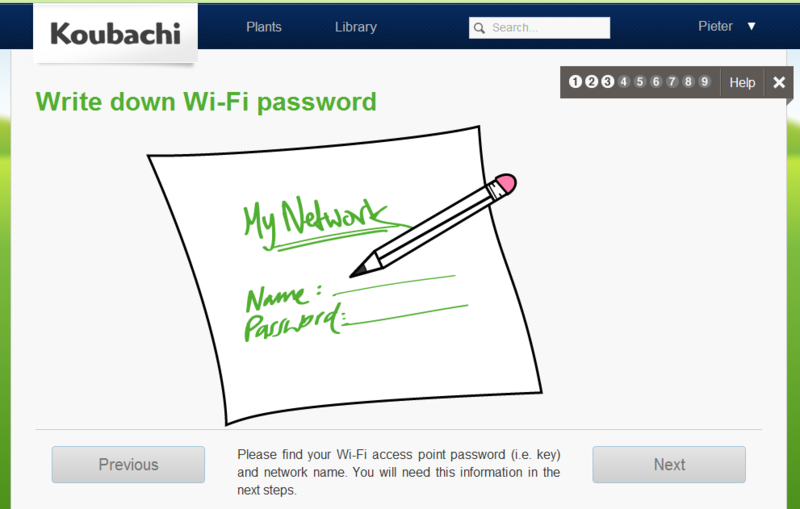 Pivos released a XBMC build for Linux, and I tried it out. The Pivos XIOS DS is very small (less than 5” x 5” x 1”) HTPC supporting hardware accelerated 1080p video and HD audio playback. 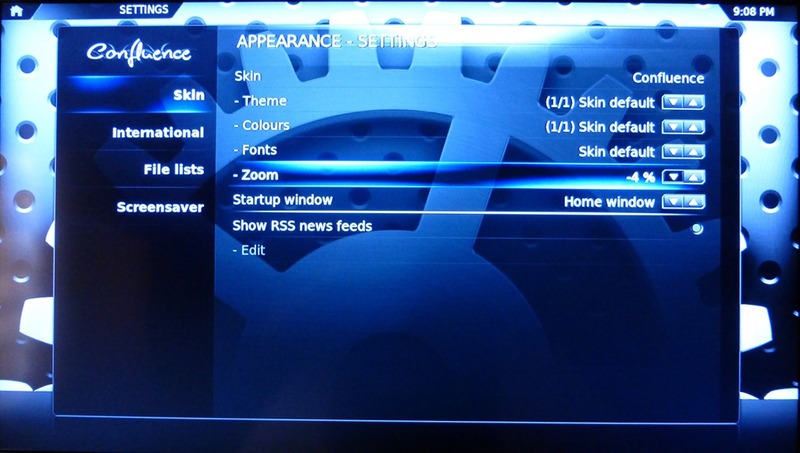 The XIOS DS supports XBMC for Android, and XBMC for Linux, with native hardware acceleration. 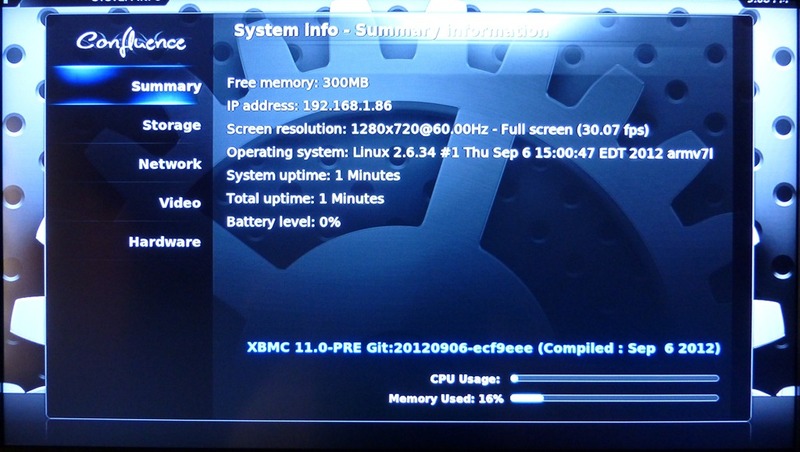 I reviewed the Android port of XBMC in a previous post. 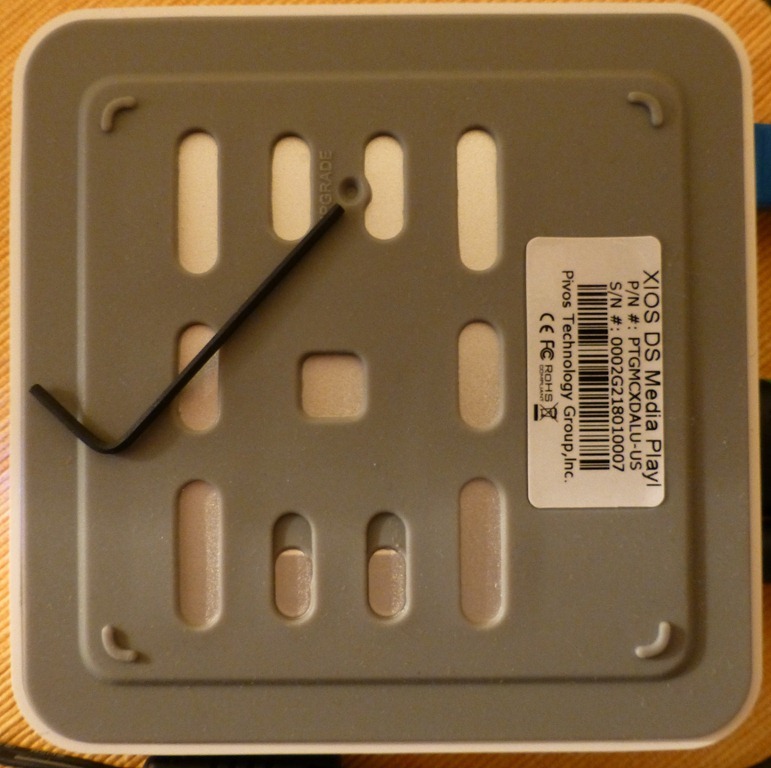 The XIOS DS is available for $115 at Amazon, placing it, price wise, between the $98 Roku 2 XS and the $178 Boxee Box. 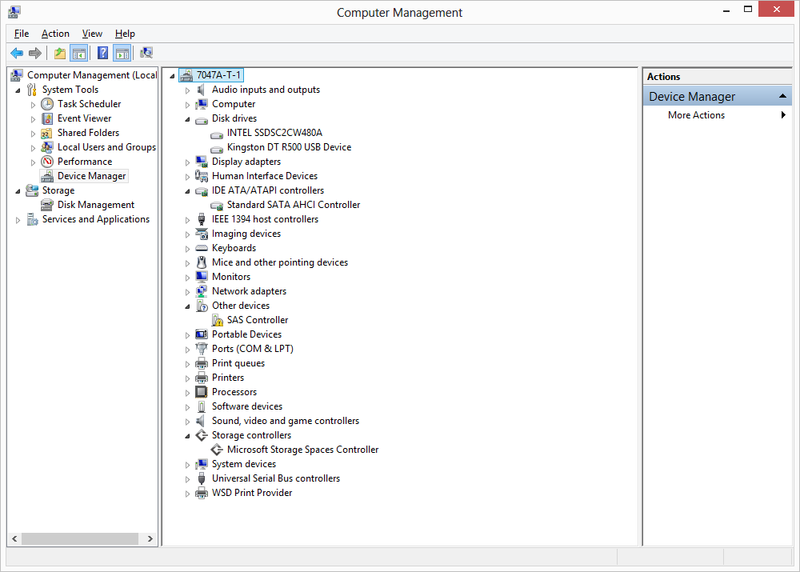 I downloaded the 09/07/12 firmware release, and installed it using the system update procedure; extract update.img to MicroSD, hold reset button on back of unit, plug in power, release reset button when update screen displays. 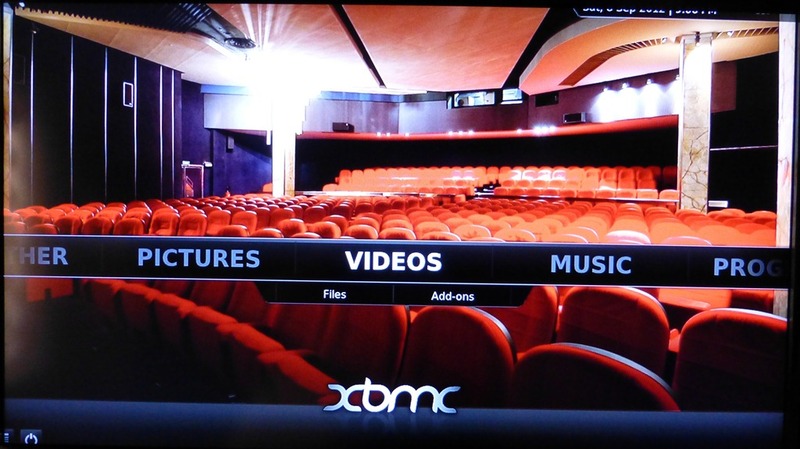 XBMC launched immediately on reboot, very similar to the XBMC for Linux OpenELEC experience. 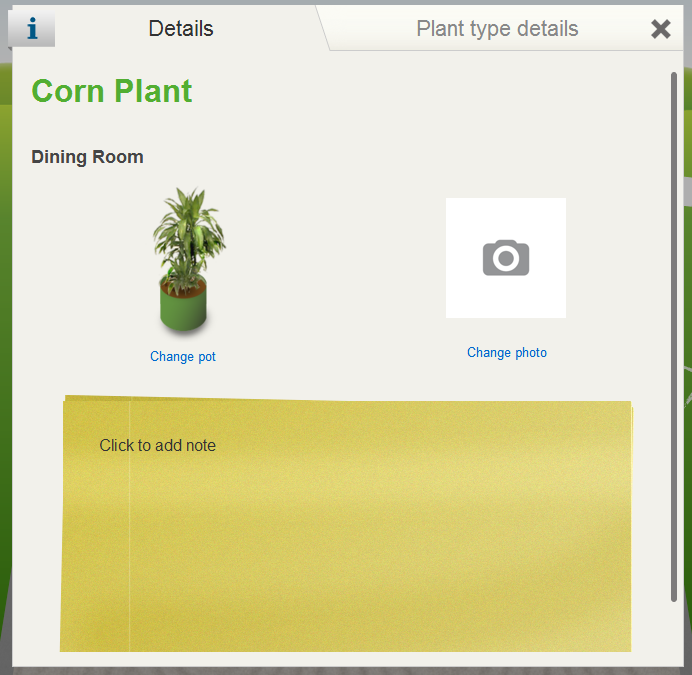 A quick zoom adjustment and the UI fits on the screen without the need to adjust resolution. 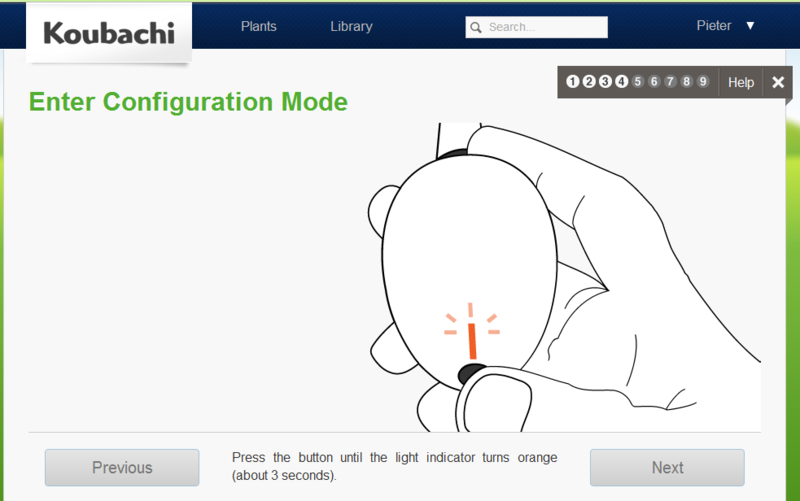 Unlike the Android version where I had to use a mouse and keyboard, I could use the included IR remote to perform all operations. And unlike the Android version, where I had to create special guest access SMB shares because NFS was not supported, the Linux version supported NFS shares with no problems. I did encounter the same problem as current OpenELEC builds, where some addons are reported as broken in the repository, but as with OpenELEC, this did not prevent movie and series media from being correctly identified, or played. 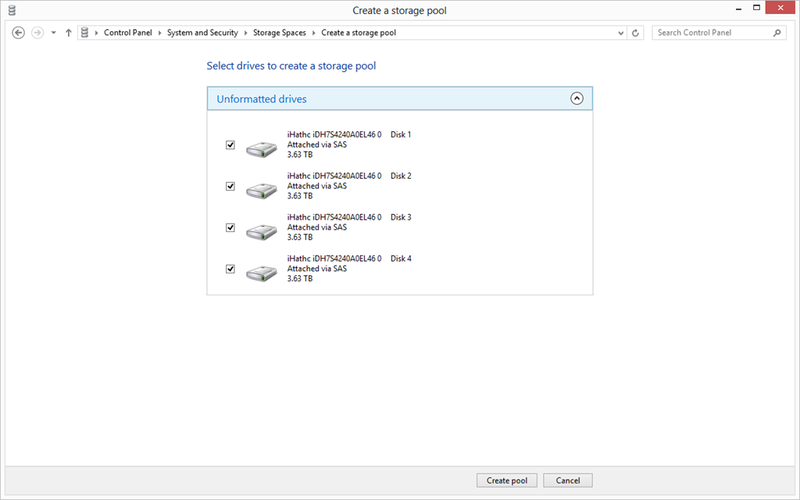 I tested a variety of media formats, all in MKV containers, and all played without issue. 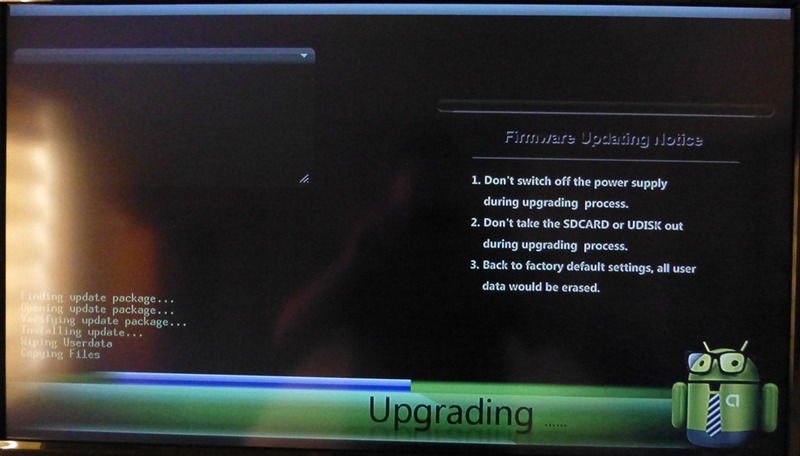 I did not test DTS, DTS-HD, AC3, and TrueHD passthrough, as this build of XBMC is based on v11 Eden that does not support HD audio (included in the unreleased v12 Frodo), and I had the box directly connected to a television over HDMI, so all audio was downmixed to two channels. 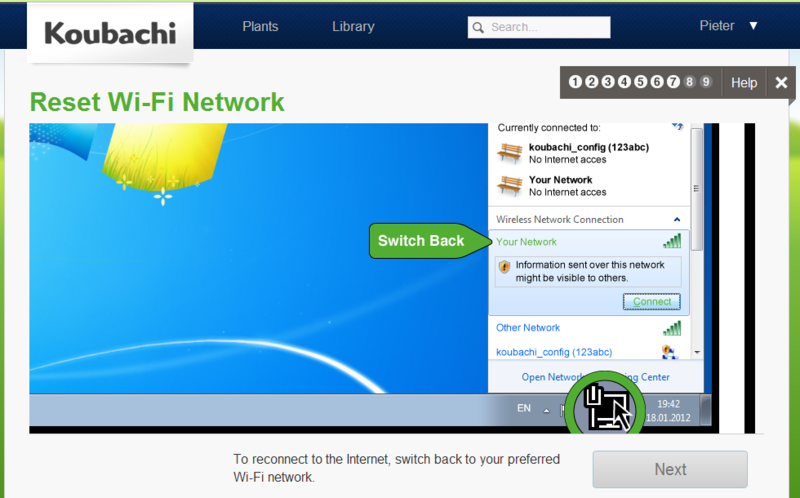 All in all the Linux port of XBMC on the XIOS DS worked much better than the Android port, but as the Android port is classified as Alpha and the Linux port classified as Beta, that is expected. 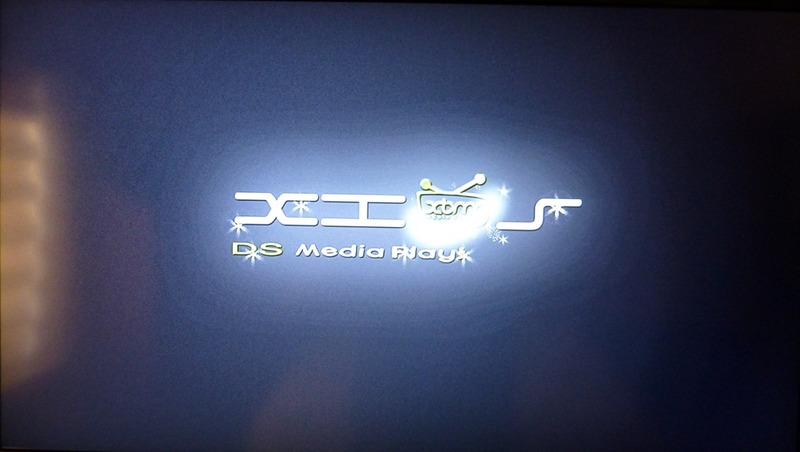 The XIOS DS running Linux XBMC is not up to Boxee Box standards yet, but it may be a contender. 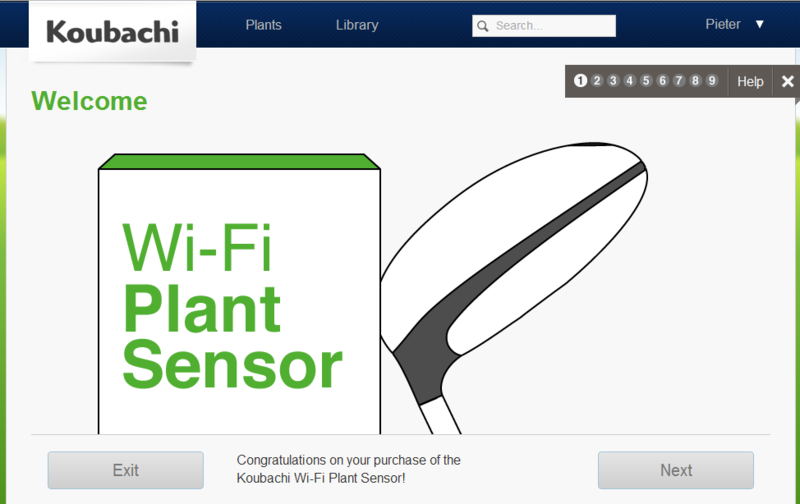 Last week several tech and gadget news outlets reported that the Koubachi Wi-Fi Plant Sensor has been released and is available for order (Amazon or SmartHome). 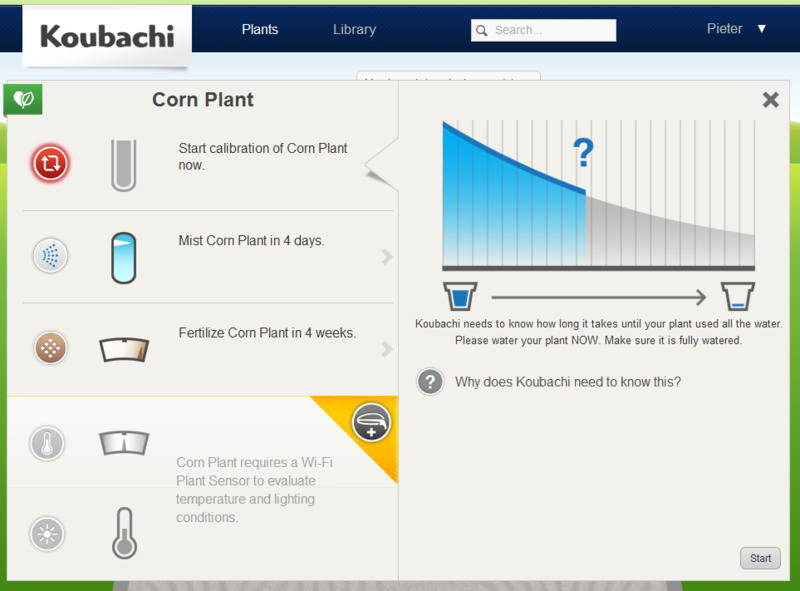 I remembered reading about this device some time ago, and I decided to try it out. 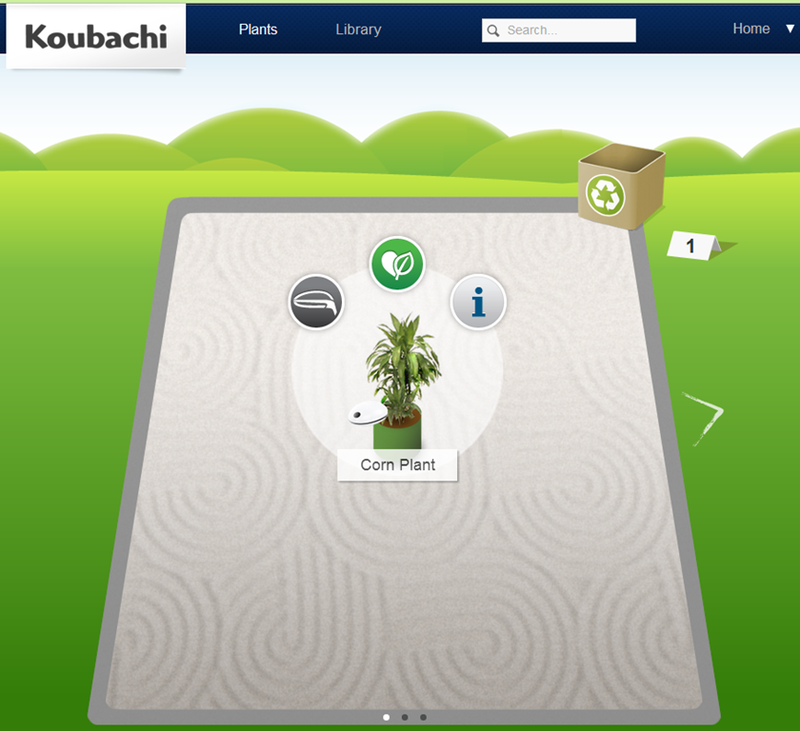 Thanks to the unique Plant Care Engine (PCE), Koubachi is able to advise you about everything your plant needs: water, fertilizer, hu­mi­di­ty, temperature and light! 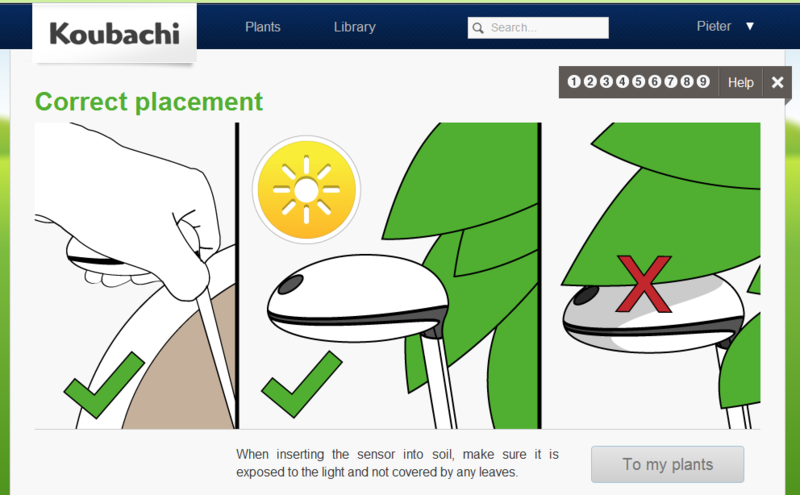 Koubachi not only tells you WHEN to care for your plants, but also gives you specific instructions HOW. 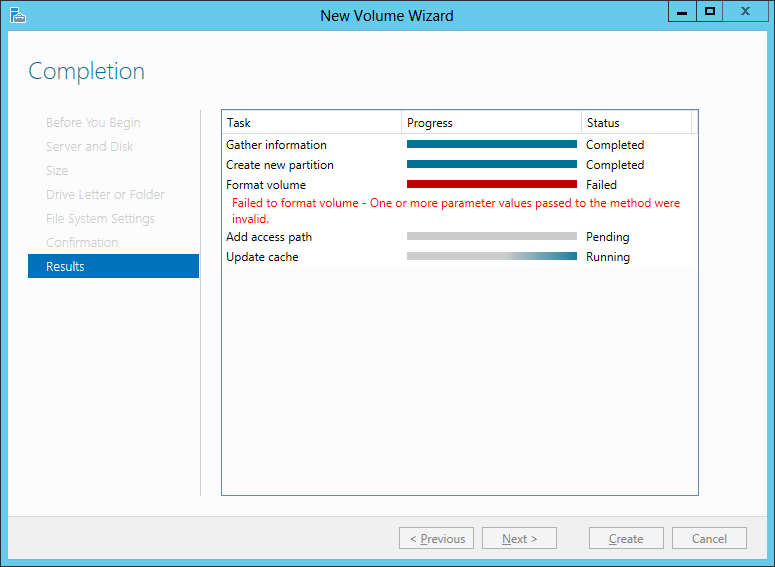 The installation and configuration process is interesting. 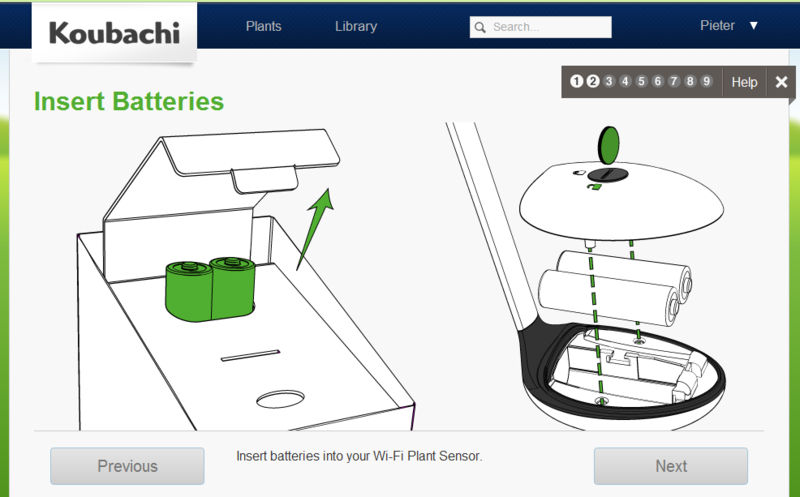 There is only one button on the device, no USB plugs for direct configuration. 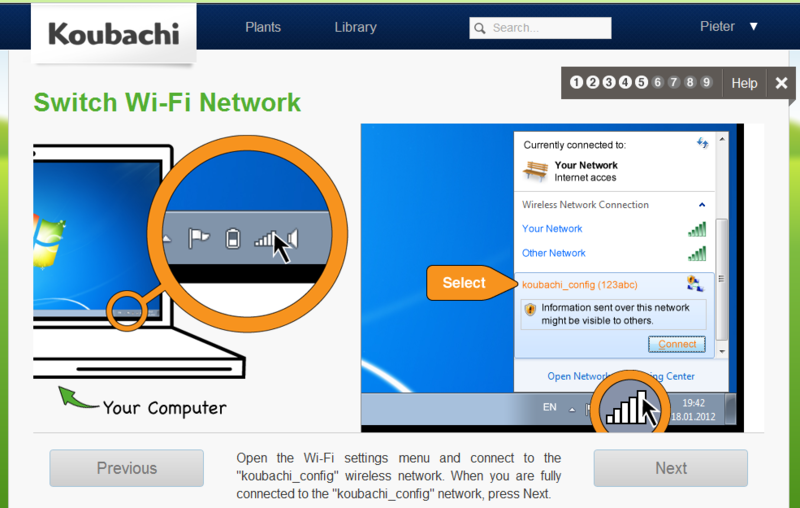 In order to configure the device to connect to your Wi-Fi network, you first place it in Ad-Hoc mode, then directly connect to it using your computer Wi-Fi adapter, then access the device settings using a web browser, and configure the Wi-Fi settings, after which the device will connect to your home network. 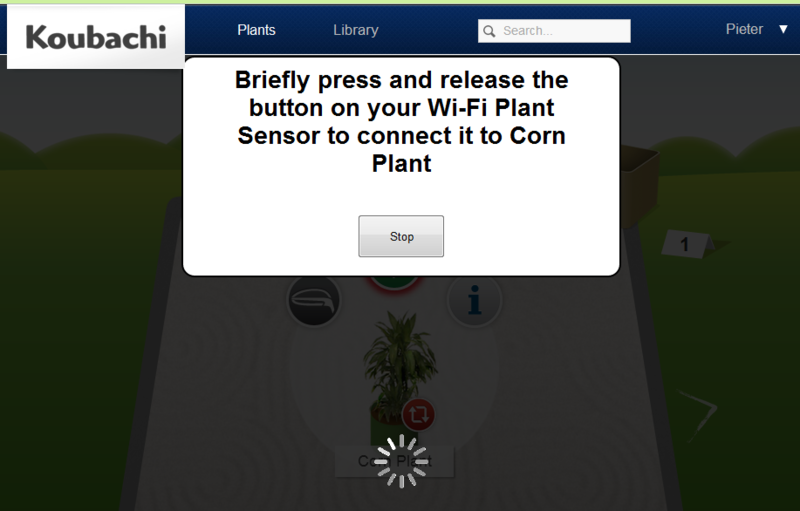 At this point everything appeared to be setup and working, except the “To my plants” button was not working. 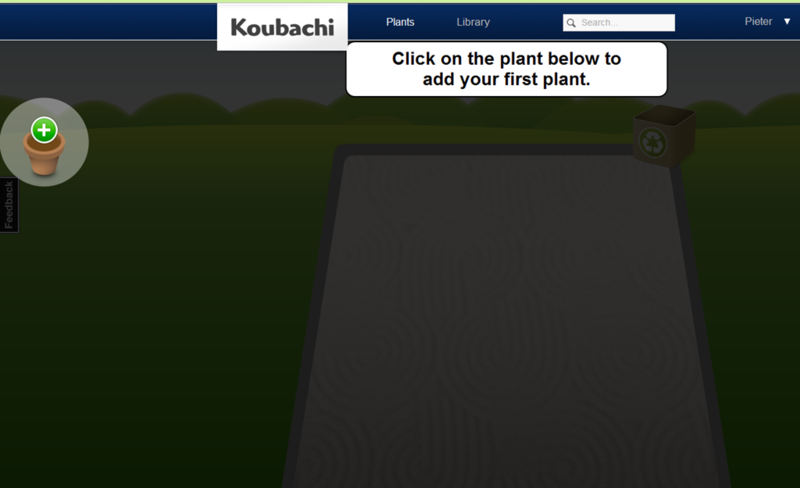 On clicking the “Plants” link, I got to a screen where I can add my first plant, but nothing happened when I clicked on or dragged the pot icon. I tried using Chrome and Internet Explorer, same thing. 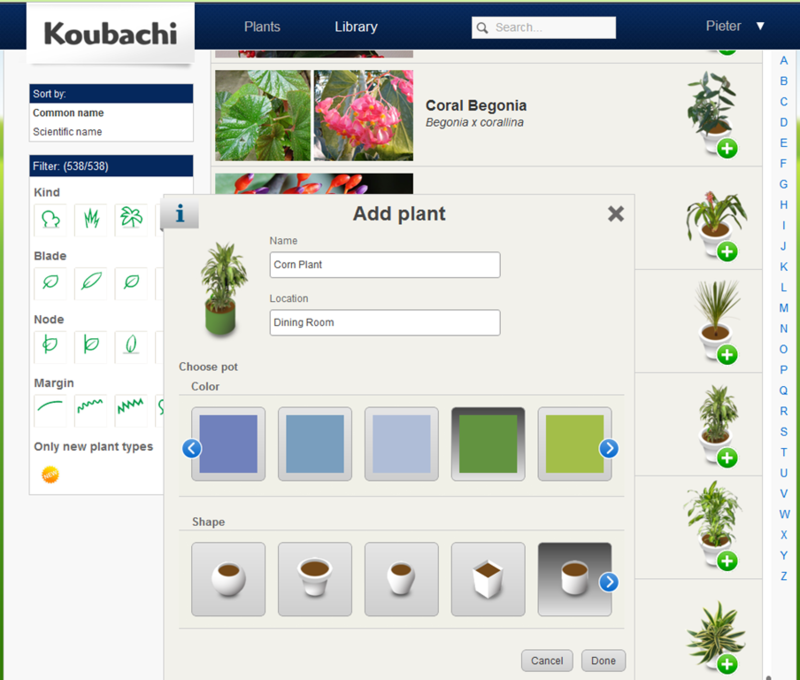 The following day I logged in from the office, and now the plants link worked and dragging the pot to the canvas let me create my first plant. 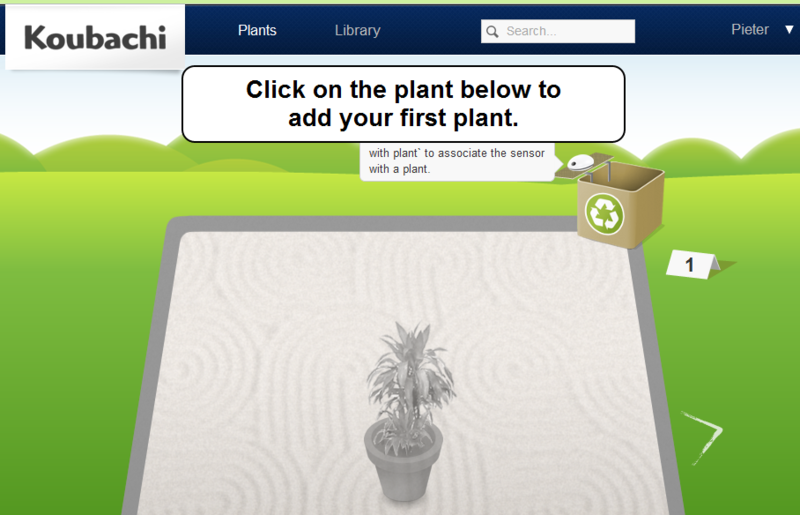 Maybe the sensor had to check in with the backend before the backend allowed me to add a plant? 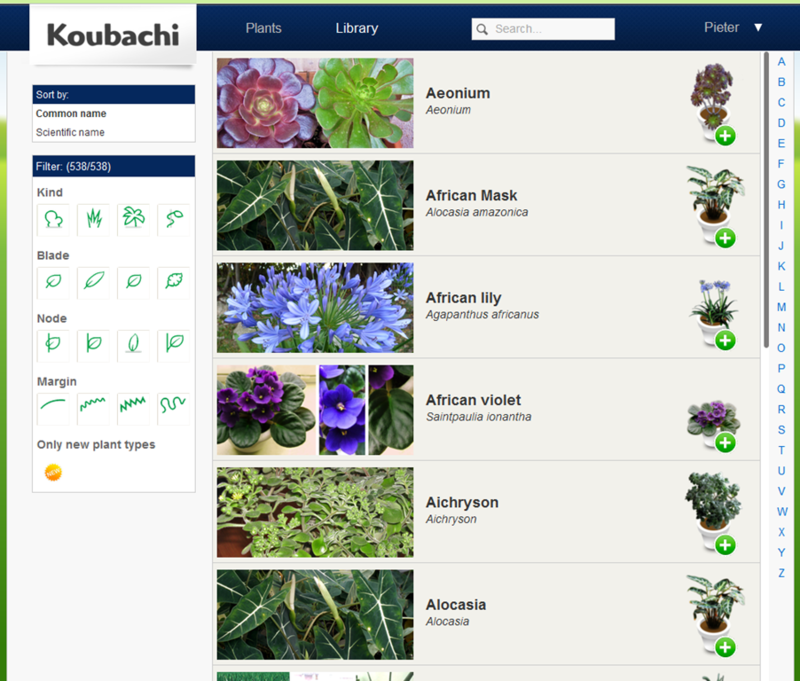 After adding the plant to the canvas, you select the type of plant and pot from the online database. 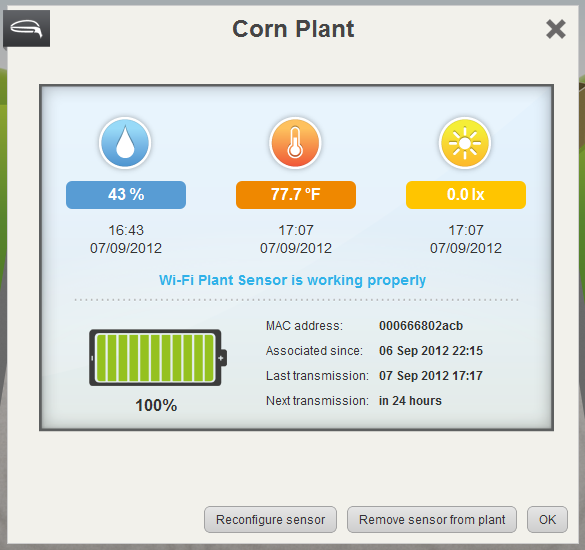 Only 538 types seems a bit limited, but my corn plant was easy enough to find. 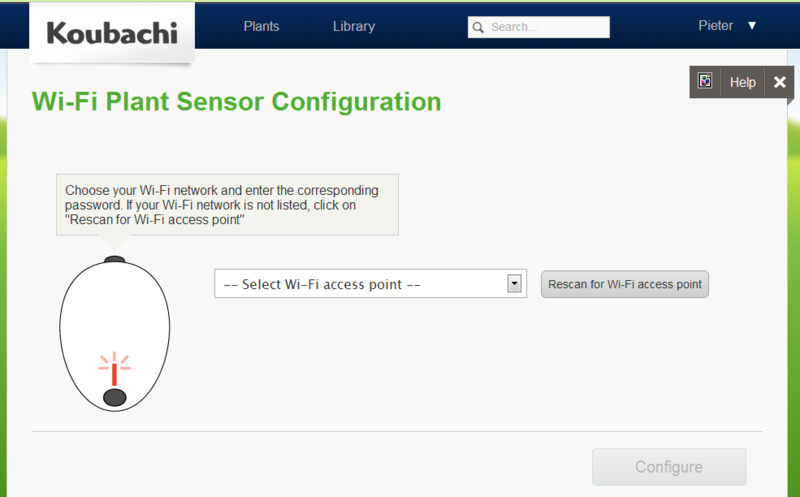 After adding the plant, you have to associate the sensor with the plant. 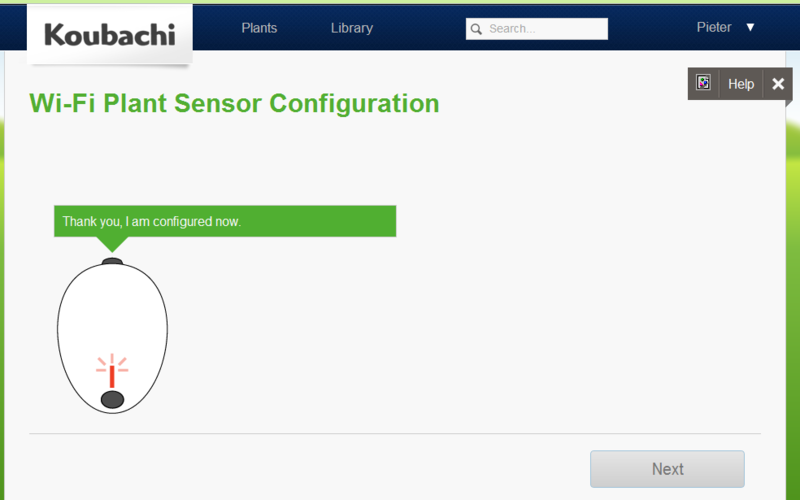 But, that required that I press the button on the sensor, and since I was in the office, I had to wait until the next day at home to continue the setup. 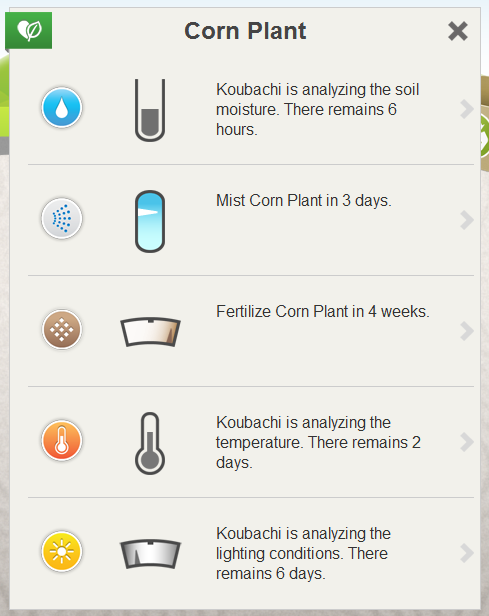 The iPhone app shows similar information to the website, and includes push notifications of events. So far nothing exciting has happened, no email notifications, no push notification, I guess I’ll have to wait until the sensor completes the calibration procedure, or until I sacrifice a plant for the sake of curiosity. 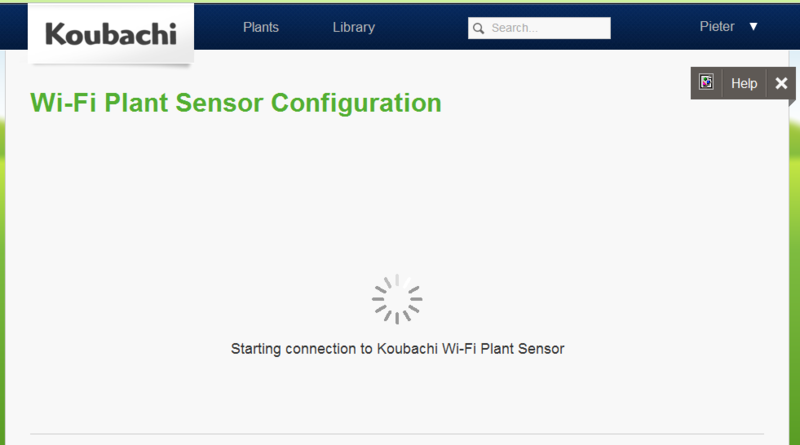 In the mean time I’ll install some more sensors in the other house plants. 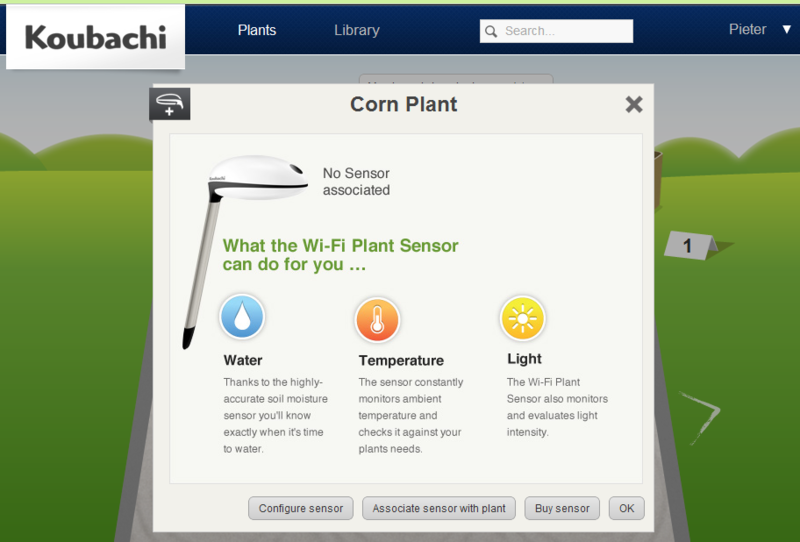 I was planning on installing sensors in the patio plants, but this sensor is apparently not quite rain proof, and an outdoor sensor has been announced, to be released in October. 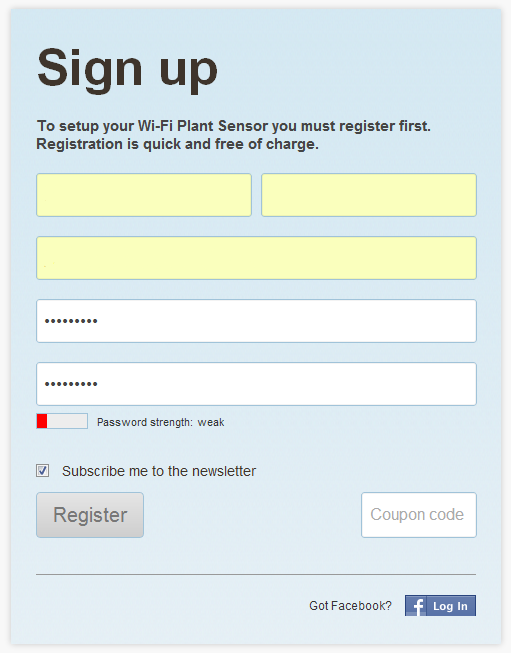 Does the Wi-Fi radiation affect my plant? No. 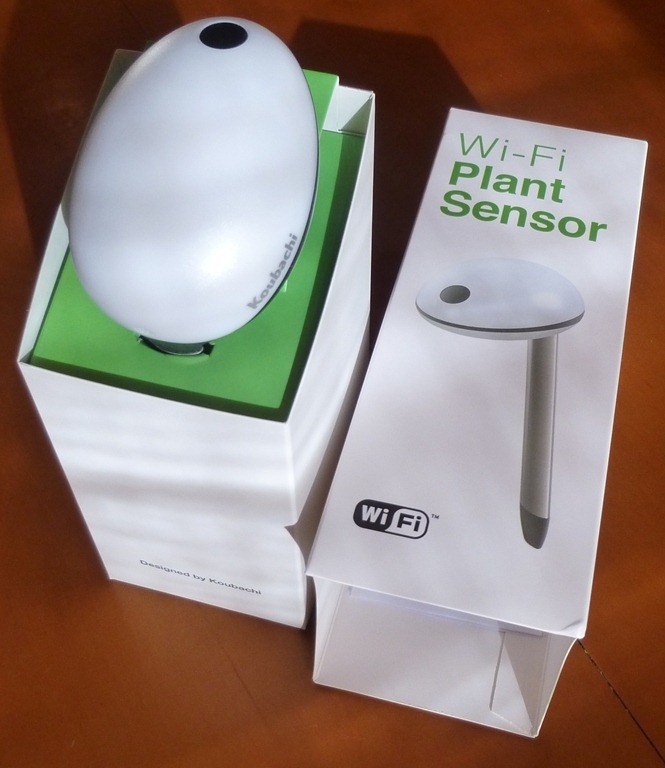 According to the current state of knowledge there is neither a positive nor a negative effect of Wi-Fi radiation on plants. 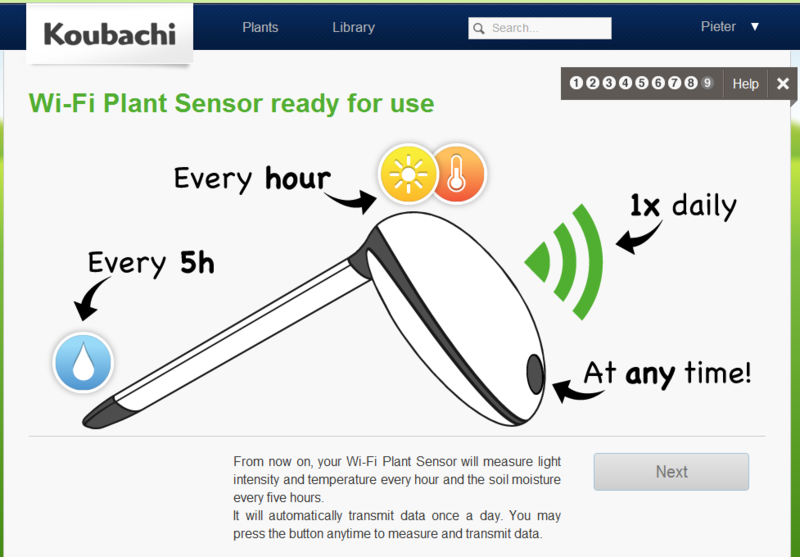 Note that the Koubachi Wi-Fi Plant Sensor usually transmits the data only once a day and that the transmission lasts only ca. 5 seconds. 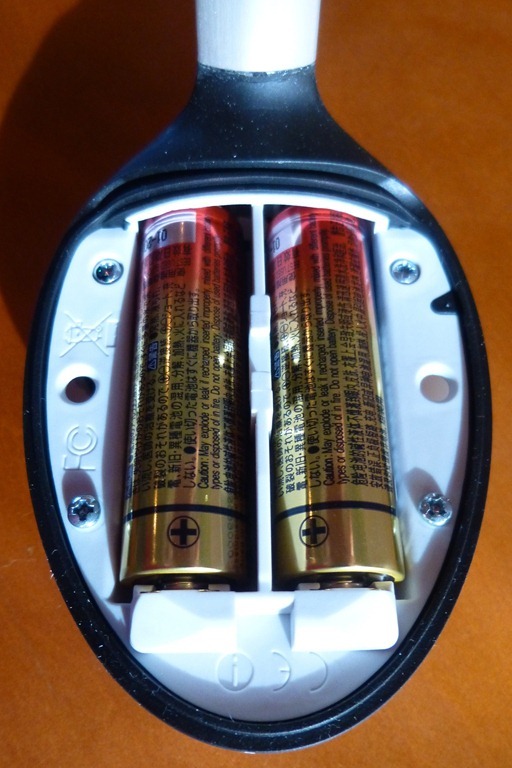 Therefore, the radiation exposure is many times smaller compared to other wireless devices. 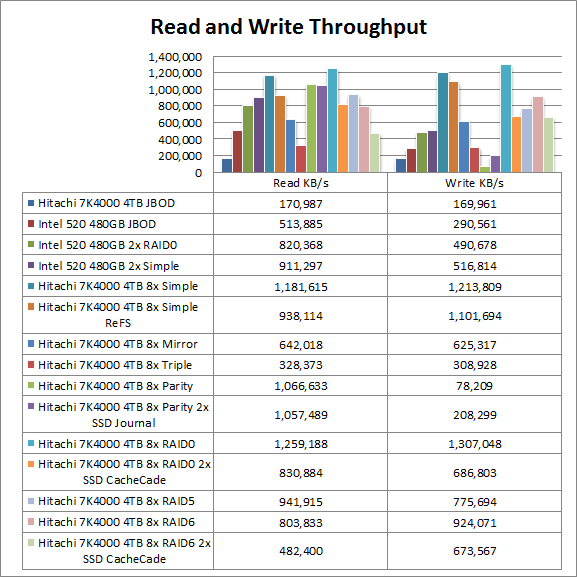 I encounter one problem after another running Windows 8 and Server 2012 on the dual Xeon E5 Intel C600 chipset based SuperMicro 7047A-T and 7047A-73 SuperWorkstation machines. 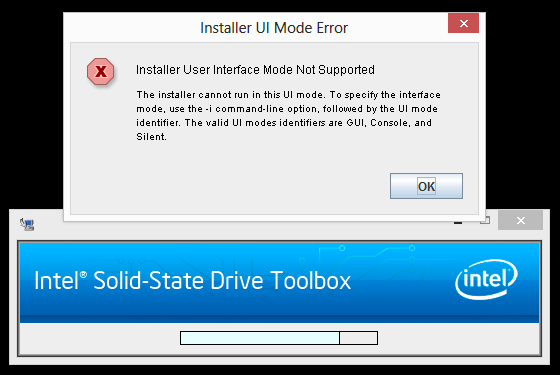 I will say that this is really not representative of my Windows 8 experience in general, as all other machines I installed on worked fine with the in-box drivers. 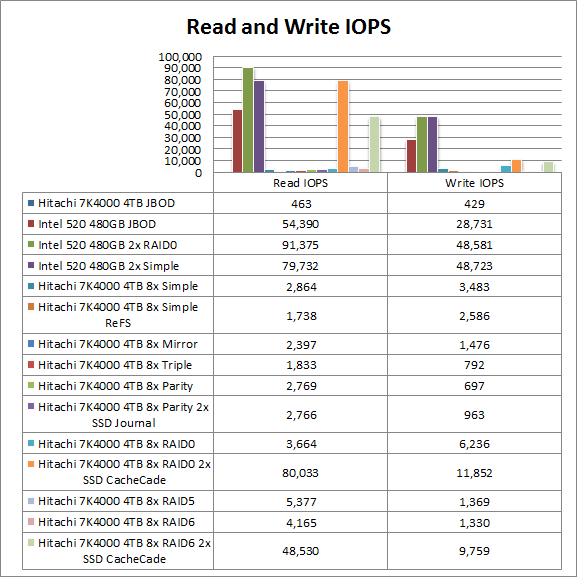 The C602 includes the Intel Storage Controller Unit (SCU) SATA / SAS controller. 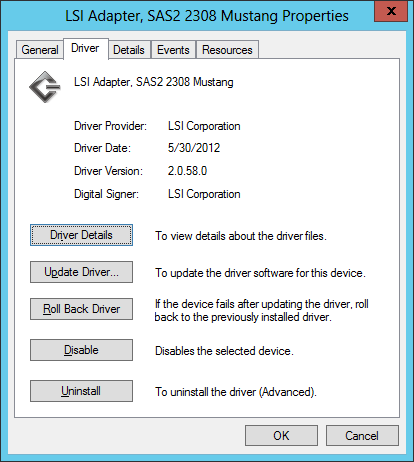 Windows 8 and Server 2012 do not include in-box drivers for the SCU. 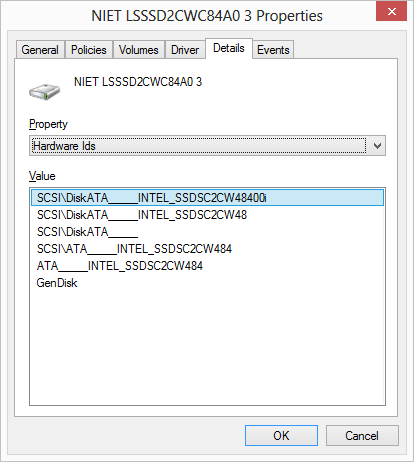 The SCU drivers are part of the Intel Rapid Storage Technology Enterprise (RSTe) driver set. 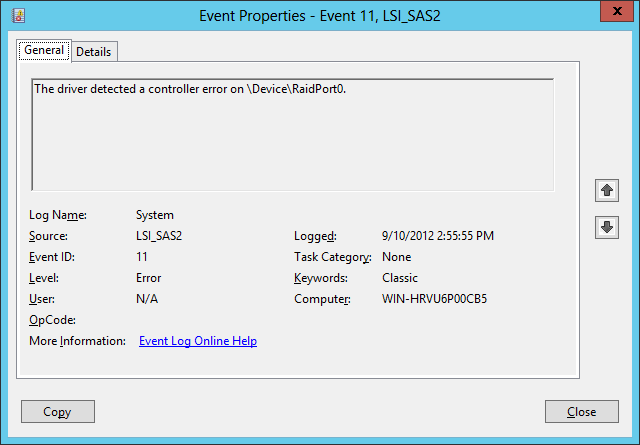 Note that the RSTe and RST drivers are different and not compatible with one another. 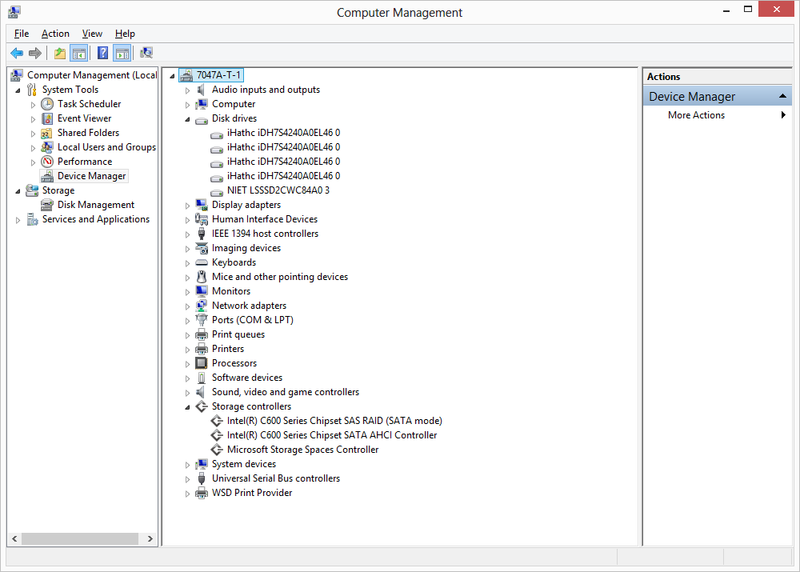 When you install the full RSTe package, it includes SCU drivers for the SCU RAID controller, AHCI drivers for the SATA controller, and the Windows RST management application. It appears that the text BYTE’s are WORD swapped, i.e. 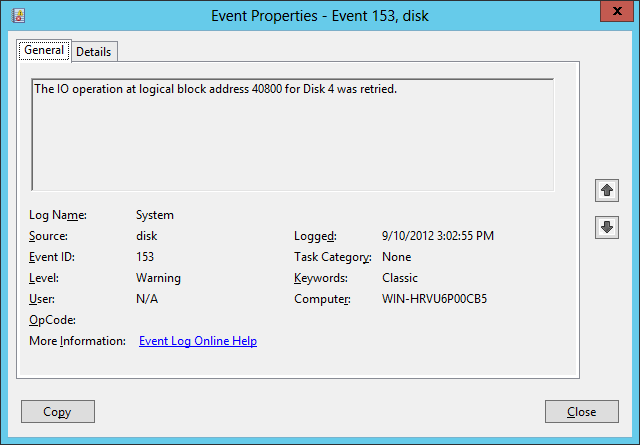 ABCD becomes BADC. The clock is ticking for Windows Server 2012 (4 September, 1 day left) and Windows 8 (26 October, 7 weeks left) general availability, I can only hope compatible drivers, firmware, and utilities are forthcoming. 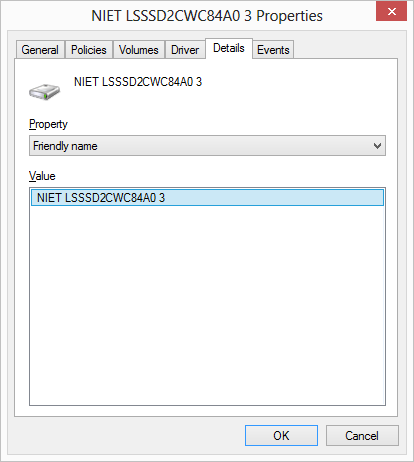 SuperMicro posted updated RSTe drivers (package v3.5.0.1101, driver v3.5.0.1096). 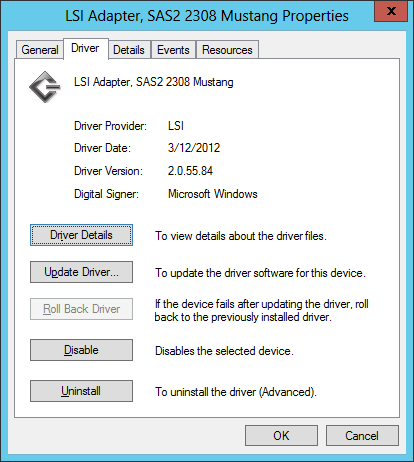 This driver set resolves the hang during storage space creation, but the drive names are still messed up.